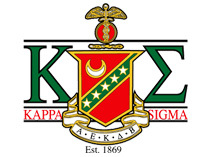 The Alumni Mentoring program is being launched jointly by the Nu Prime Alumni Association and Kappa Sigma HQ. Since 99% of our alumni do NOT reside in Blacksburg, mentoring will take place where our alumni reside, and NOT on campus at VT.
You can later help him in preparing a resume, by critiquing him in a mock interview, etc. You can offer a new brother an opportunity to attend local business networking functions. So, fellow Nu Prime brothers, here is your chance to help lay a solid foundation for the new colony of Kappa Sigma at VT, and you don’t even need to travel to VT to do so! Please consider volunteering, as this program kicks into full gear NEXT MONTH! If you can help, please contact Brother Ralph Basile (rbasile@vantagepointredm.com,410-212-5456) or contact us at the Association’s email address (kappasigmanuprime@gmail.com). Thanks, Brothers! Please see the draft of our program that was presented to the university, here.